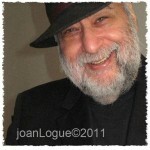 Harvey Roy Greenberg, MD is a psychoanalyst / journalist and pop culture and media critic based in New York City. A graduate of Columbia College and Cornell University Medical College, Dr. Greenberg is Clinical Professor of Psychiatry at the Albert Einstein College of Medicine at Yeshiva University, New York. He practices adult and adolescent psychiatry, psychoanalysis and psychopharmacology in Manhattan. In his writings and media appearances, Dr. Greenberg focuses on the intriguing areas of connection between medicine and psychiatry on the one hand, and popular culture, on the other. He’s trained his eye on TV and films as well as social issues like drugs and gambling. Dr. Greenberg’s articles have appeared in The New York Times Sunday Arts and Leisure Section, Tikkun, Movieline, Film Quarterly, International Review of Psychoanalysis, The Psychoanalytic Review, Psychiatric Times, Camera Obscura, The Journal of Popular Film and Television, Cineaste, Film and Philosophy, Projections: Journal of the Forum for the Psychoanalytic Study of Film, Forward (inter alia), and the New York State Psychiatric Association Web Site. He is the author of six books including The Movies on Your Mind: Film Classics on the Couch from Fellini to Frankenstein, Screen Memories: Hollywood Cinema on the Psychoanalytic Couch, and Hanging in: What you should know about psychotherapy. Click here to read Dr. Greenberg’s monthly column for Clinical Psychiatry News, “The Media and the Mind”.